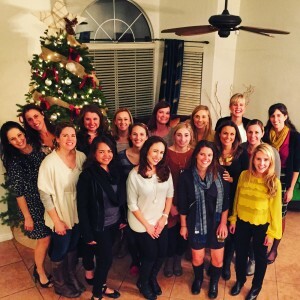 New Member Class 2015-2016 | Junior League of Tucson, Inc. The New Member Class of 2015-2016 has had an eventful fall season! The 36 new members have spent time learning about the structure of the Junior League and the committees that help it succeed. They also received their placements for their interim committee rotations, serving on the Communications, Done In A Day, Sponsorship/Endowment, Junior League Legacy Event, Member Events, Training, and Headquarters & Property Committees. They have participated in trainings for how to navigate the new website and how to maximize their impact on the community. The end of 2015 finished with a celebratory white elephant holiday party, hosted by Diana Croce!